Thank you for considering Zoho Projects. If you are ready to migrate your data from JIRA Cloud into Zoho Projects, follow the steps given below to import your data. This feature is not available for Zoho CRM Plus and Zoho One users. The following are the supported modules and fields that you can import from JIRA into Zoho Projects. Custom Fields other than the field types mentioned in the table above will not be imported. Zoho Projects / Bugtracker supports only twenty custom fields. 12 for text type, 4 for Date, and 4 for Numeric values. Admin role users in JIRA will be imported as “Admin" in Zoho Projects too! And the rest of the user roles will be imported as “Employee". Work flows will not be imported, and you must manually configure the workflow in Zoho Projects. Zoho Projects does not support multiple values for Milestones / Versions. 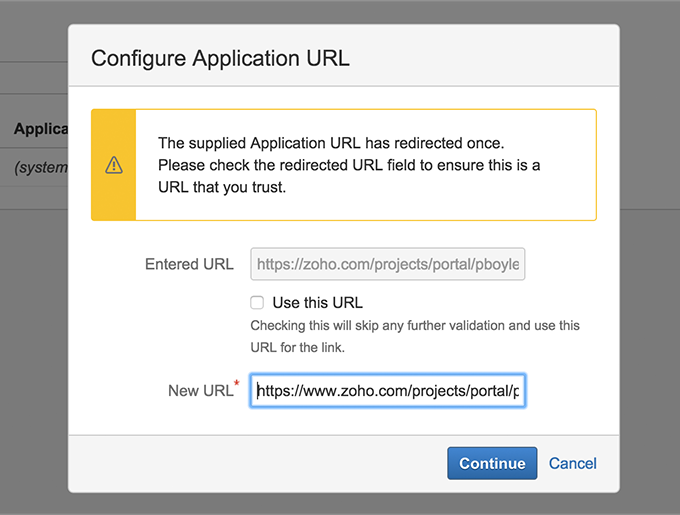 Login to Zoho Projects with Administratorprivileges. Click in the upper-right corner and select Import from Data Administration. Click the Jira Import and enter the JIRA domain address in the Jira Migration page. 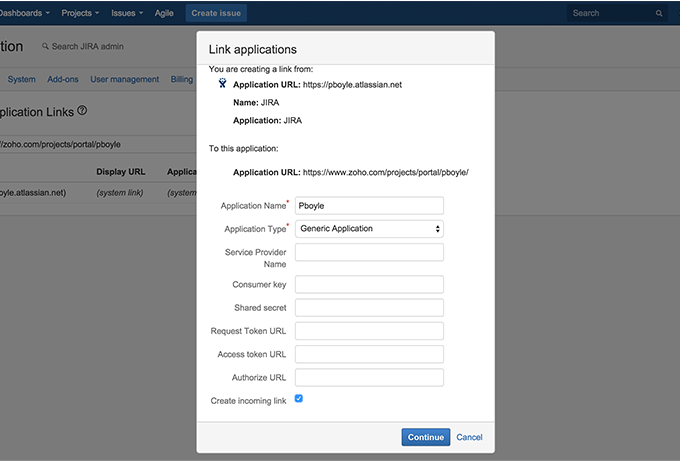 Copy the portal address in Application URL to link the JIRA account. If you have already configured an Application URL, you must delete it, and reconfigure to import again. 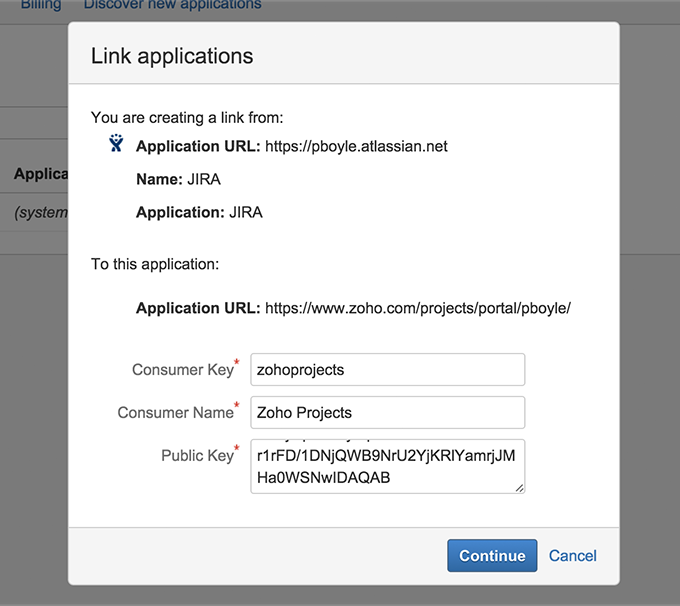 Click Take me to JIRA Configuration, and in the JIRA account paste the copied Zoho Projects portal address in Application. In Configure Application URL pop-up ignore the message, and click Continue. Enter the ApplicationName and select the Createincominglink checkbox in Link Applications. The Application Name is user-defined. It is mandatory to select the Create incoming link checkbox. Enter the Consumer Key, Consumer Name, and Public Key in LinkApplications. 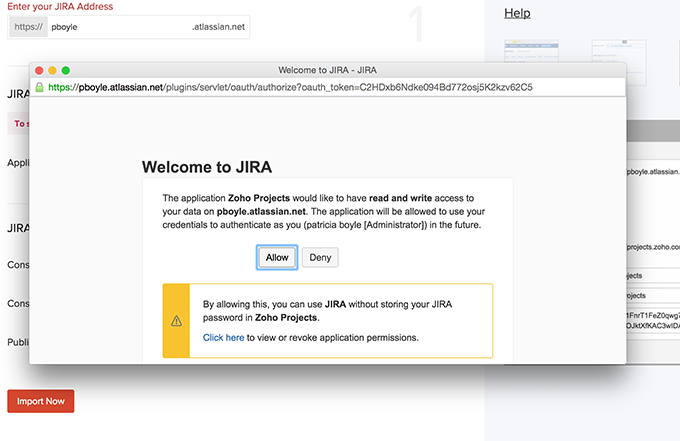 You can copy theConsumer Key and Public Key from the JIRA Migration page in Zoho Projects. The Consumer Name is user-defined. A message indicating that the new link is successfully created is displayed. Click I'm done with the configuration, in the JIRA Migration page in Zoho Projects. Click Import Now, and then click Allow on the JIRA Welcome page, to authenticate the import. When the migration is complete, an email is sent to the user (administrator) who imported the projects, with the import details.